Renowned celebrity makeup artist Ricky Wilson has undeniably made a name for himself in the beauty industry. He has contributed to articles in Allure, Shape, Essence, Life & Style, Teen Vogue, People, Us Weekly and Star. His work has graced the pages of Harpers Bazaar, Vogue, Brides, Lucky, Elle, Allure Town and Country and Modern Bride. Ricky's expertise has been put to work behind the scenes at MTV, Full Frontal Fashion, VogueTV, The Early show and at Los Angeles and New York Fashion Week. 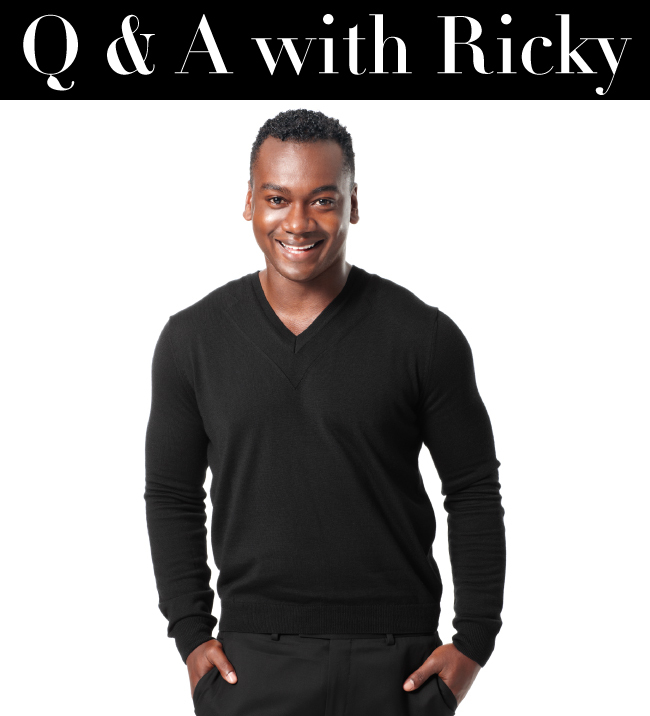 We recently interviewed Ricky and chatted about everything from common makeup mishaps to purchase-worthy products. Check it out! Sigma: When did you know you wanted to be a makeup artist and what sparked that interest? Ricky: I have always been attracted to all things beautiful but didn’t know that it would be expressed through makeup art until first year of college. I took an interest in applying makeup by watching my friends do it. The transformation was fascinating and I have always believed that you can do anything you put your mind to. I can’t say that my first application of eye shadow was anything great but it sparked a determination to perfect my skills. Ricky: I have become obsessed with many of the Sigma brushes. I can’t stress the importance of having high quality tools. In my work if a brush sheds while I am using it, I will immediately toss it in the trash. I don’t have that problem with my Sigma brushes. I love the Extravaganza Body brush as well as the smudging brushes. The price point is another great factor about the brushes which is awesome for all of the up-and-coming makeup artists who are trying to build a kit with little or no money -- trust me, we have all been there. Sigma: With all the new products out there on the market, which would you say are the top three that every artist should have in their kit? Ricky: This is a difficult one because I have so many favorites. I would say a good eyelash curler, quality mascara, and a beauty blender (which I use in conjunction with my brushes for flawless makeup application). Sigma: What do you think are the most common mistakes women make when it comes to makeup? Ricky: The mistake I see most women make in makeup is basic blending. Foundation blending, concealer, shadows, lip pencil, etc. This has a lot to do with the tools used in applying the makeup and also the lighting in which the makeup is applied. Most women apply makeup in overhead lighting instead of frontal light and can’t see these mistakes because of the shadows that overhead lighting causes. Sigma: What is the No. 1 piece of beauty advice you swear by? Ricky: I have always kept the same three beauty philosophies throughout my career: 1) makeup should be fun and changed up, 2) trends change so it’s vital to understand them even if they don’t suit your personal style, and 3) practice makes perfect. We all start from the same place but it is up to you to make your skills as perfect as you can to ensure your growth as an artist.